Today, I made cards for the first time this year ;) A friend came over and together we made some cards for the Danish OWH called OSH. Here is one of the cards, using an already stamped background of Life of the Party Dots and the new set "All the Time" which is so perfect for OSH/OWH cards with its wonderful sayings. Other: Fiskars star punch, Hero Arts /Sizzix die, Hero Arts gemstones. I hope you all had a wonderful xmas and New Years celebration! I can't believe this is 2012! Hvor er det et smukt kort, Pia. Dejlige grønne farver og så flot med det blå kontrast... en fin detalje med perler på urene. Hi Pia! 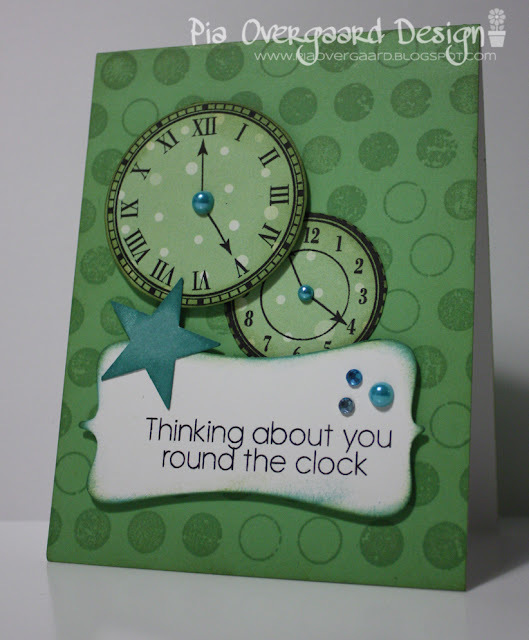 Such a great masculine card--love those clocks! Wishing you and your family a Happy New Year! Det er et rigtig fint kort du har lavet, ja teksten passer perfekt til formålet. 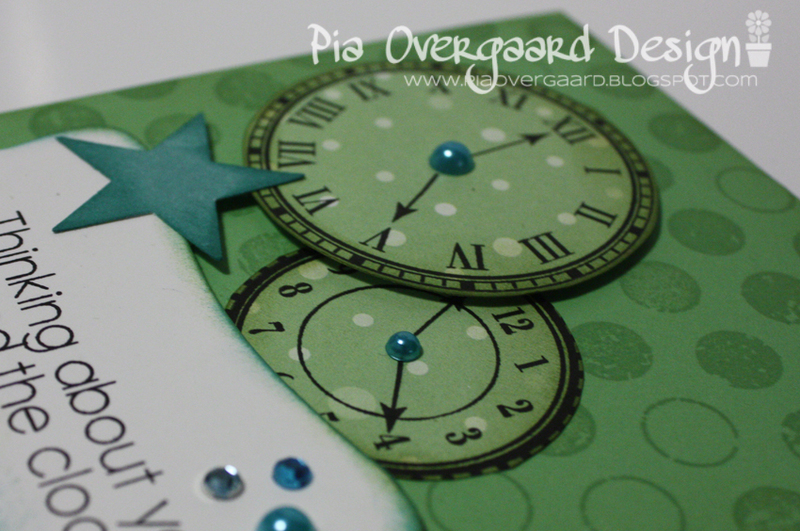 Love the sophisticated manly card, Pia! The use of pearls is brilliant! Love it! Sikke et smukt og enkelt kort. Super tekst stempel til OSH.